Why be a third party member? During the 2016 presidential election 42 percent of voters, a plurality of the country, identified themselves as political independents. That sounds like the makings of a third party, with both self-identified Democrats and Republicans at all-time lows in the history of our two-party system. Yet, there are only two independents in the present Congress: Senators Bernie Sanders of Vermont and Angus King of Maine. Why do more candidates not run as independents, even in the absence of an organized party? Or, to flip the question, why do Sanders and King remain on their lonely perches, and not join the two parties that, whatever voters think of them, continue to monopolize American politics? The answer to the first question is mainly about one thing: money. Running for office is dauntingly expensive for all but the independently wealthy, who are not as numerous as you may think and not as popular as they would like to think. Both parties have kept public funding of political campaigns off the table, and both are thoroughly enmeshed in donor politics, which means in brief that if the rich don’t run themselves they effectively decide who is permitted to and what they are required to do if elected. The notorious Supreme Court ruling in Citizens United that opened the floodgates to corporate funding of elections means that the rich needn’t even spend their own money to buy politicians; if you have a 401(k) or are otherwise invested in the market, they can spend yours. And, since they already own both major parties, why shouldn’t they be content with the way things are? Another problem with the idea of an independent party is that, however many voters are disgruntled by the existing parties, there is no consensus among them about what kind of party it might be. Tea Partiers on the right and progressives on the left are polar opposites politically, while, may I submit, the last thing the country needs is a party of the middle that tries to split the difference between Democrats and Republicans. This brings us back to the cases of Sanders and King. Angus King sometimes votes with one party and sometimes the other, so he tells us nothing but that Maine is partial to mavericks. Bernie Sanders is another matter. Sanders sought the Democratic Party nomination in 2016 as an independent. He also tried to gain it while rejecting large donations, whether from individuals or corporations. The first of these facts made him anathema to the party establishment. The second made him sound mad, except that he not only raised enough money from millions of small donors to stay competitive in the race but at times took in more than the well-greased Clinton machine. Sanders remains the most popular figure among Democratic voters today. He also remains an independent. 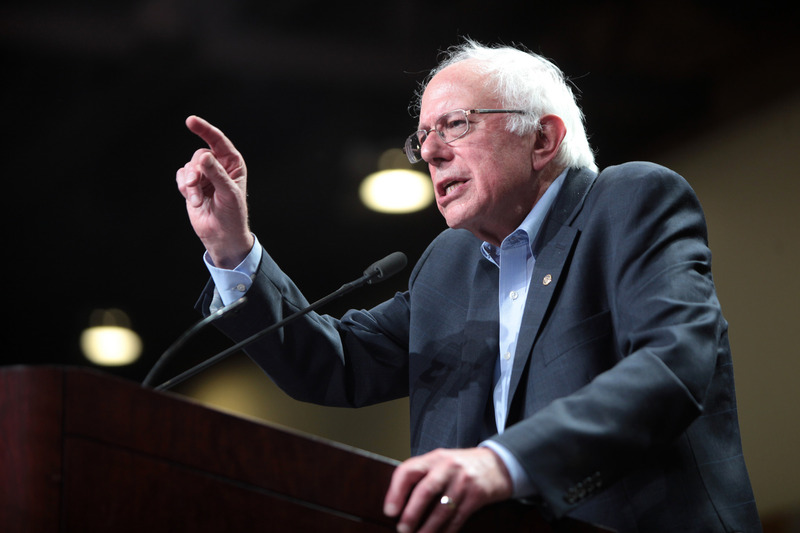 Sanders has not precluded a second run for the presidency in 2020. It might seem that joining the party whose nomination he had already sought would be a reasonable expectation. He has not done so, however, nor has he apparently been courted. Sanders may want the Democratic Party’s highest prize. But he does not, it seems, want the Party itself. The reason for this is that Sanders is a classic progressive whose views were rejected by the party establishment 30 years ago in the Reagan era. Just what the Party does stand for, other than servicing the donor system that has taken over American politics in general, is a mystery to most voters. Usually, you can’t win something with nothing. That, though, is just what Party elders are banking on in the midterm elections just six months away. The Democrats want to advertise themselves as the antidote to Donald Trump. Given the massive revulsion against the Trump presidency, they figure that should be enough. Who are the Democrats? They’re the other guy. This didn’t work for Hillary Clinton in 2016. It won’t work this time around either. Even if the Democrats regain control of one or both houses of Congress in November, it will mean gridlock at best: an unpopular president against a legislature favorably regarded by exactly 6 percent of the population. We face, as Sanders understands, a crisis in our democratic institutions, which service power no matter which party is in office. If Democrats don’t reinvent themselves, they are doomed to irrelevance. At the moment, they don’t seem to mind. They are telling anyone who might spoil a sure hand to stay out of the primaries, lest a new idea actually surface. As for 2020, even Paul Krugman was raising a flag the other day for Joe Biden, the loyalist who served Barack Obama for eight years while Democrats lost a thousand elections nationwide. Call it a death wish. I don’t know whether Bernie Sanders’ modest prescriptions — a minimum wage that would still be below a living one; free college tuition such as the country routinely offered years ago; the single-payer health insurance system called for in the 1948 Democratic platform — are nearly enough to make a dent in our problems. You have to start somewhere, though. And right now, Sanders is the conscience of the party that doesn’t want him.